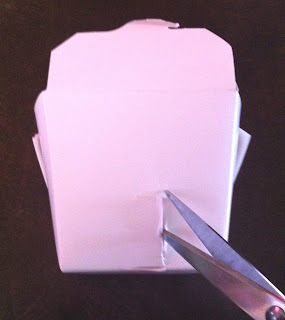 Last month, I showed how to make a take out box diorama. 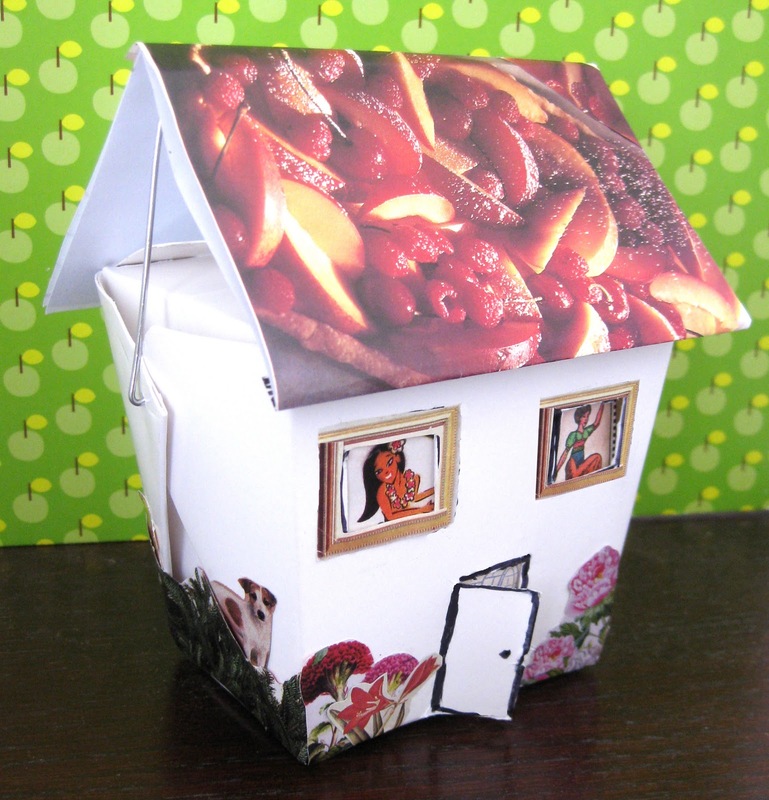 Well, since I still have a lot of these boxes left over I came up with a new craft project - a take out box house! STEP 1 - carefully cut out a "small door" at the bottom of one side of the box as shown. 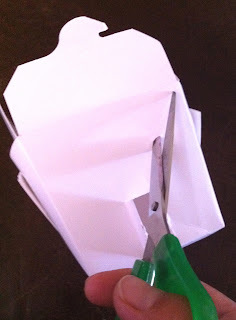 Once you've cut open a door, fold the door as shown. STEP 2 - carefully cut out 2 small square "windows" above the door. 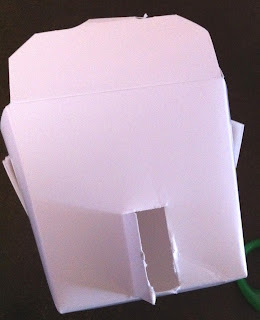 After you have cut the door and cut out the windows, the front of the box should look like this. 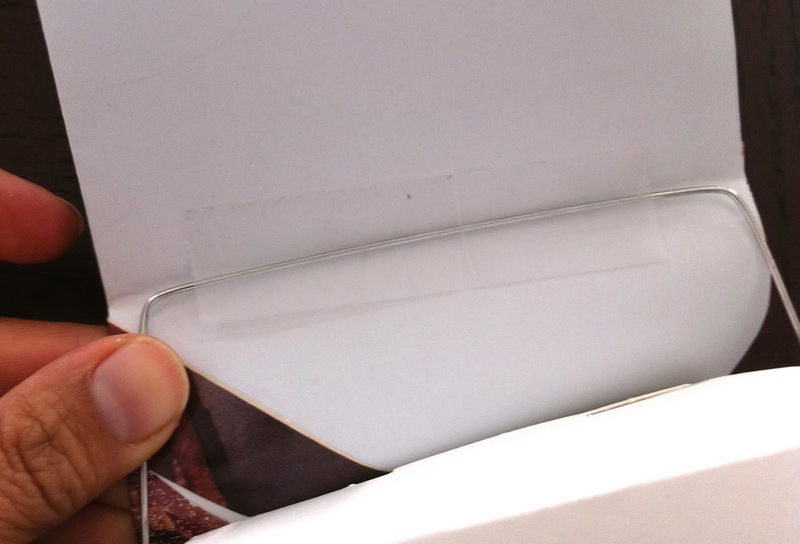 STEP 3 - Tape or glue images on the inside of the box so they peak outside the windows and door. Once you're done, just close up the box. STEP 4 - To create the "roof", you will need to measure a piece of paper against the box you are using. Basically, I folded a piece of paper on top of the box and cut it to a size that I thought looked good. You can color/draw details to the roof or glue cutouts to it. Fold that paper in half and tape the paper to the wire attached to the box as shown. 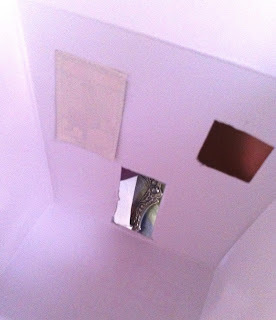 This creates the perfect pitched roof. 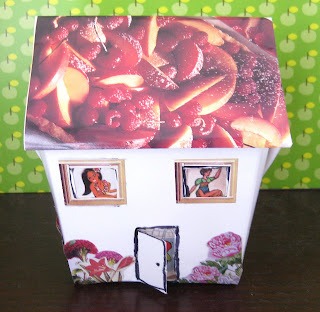 So, here you go, now have the basics of a house. Add some cutouts to decorate the outside of the house or use markers to decorate it. Just use your imagination on how you would like it to look. 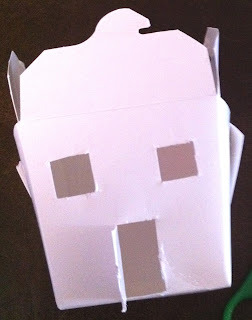 Simple, easy and a great craft for kids!